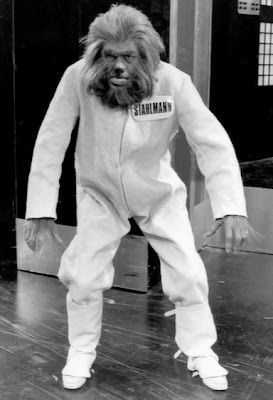 A further theme is explored in Season 7, one that had its initial basis in the U.N.I.T stories from the Troughton era and is commonly known as the ‘yeti in a loo’ concept. 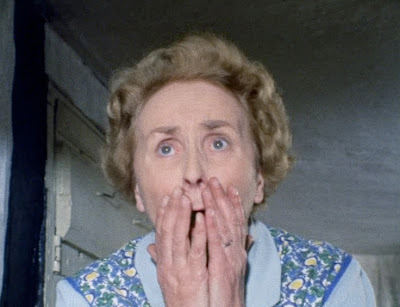 Jon Pertwee was often wont to quote that it was far more terrifying to find the alien threat in your own home than it was to seek it out in outer space. On the surface, this gives rise to much of the content of the early Pertwee seasons but these earlier stories heighten the ‘yeti in a loo’ scenario by tapping into a more realistic terror of the ‘alien’, with the fear of invasion, possession and death not only more firmly embedded into an earthbound setting but also mining the inner fears, troubles and preoccupations of the British citizens of the Seventies. At the time there was much concern about the rapid changes to society, science and technologies out of control, mistrust of politicians and bureaucrats, worries about industry, jobs and the environment as well as class and gender divisions. ‘Domestic terror’ in Season 7 is both an overt representation of the ‘other’ in the physical form of monsters from outer space walking down the high street, and an internalised fear about misguided science, immigration and cultural change that is projected onto them. The monstrous is embodied not only in extra terrestrial forms but, most importantly in Season 7, it is also an anxiety about new technologies, processes and materials, consumerism, secret research centres, laboratories and space missions. Many of these realisations of fear are either through the appropriation of familiar materials and objects (plastic dummies), or freak industrial accidents (drilling for new energy), nuclear testing (that awakens ancient species) or space missions that go wrong. The series is divided into threats from space and human created problems where often the two merge and the alien threat is inculcated in a domestic, earthbound problem or setting. Alien ambassadors arrive on Earth and they are mistreated by the real figure of anxiety, the xenophobic military general or in preying on our resistance to new consumer trends, the Nestenes use a plastics factory to replace senior figures of authority and stock a number of high-street chains with killer dummies. In Season 7 we also see a number of characters, the victims of attack, enter a realm of hysteria where their states of mind become subjected to unmanageable fear or emotional excesses. We can correlate this with Toffler’s ‘future shock’ where our characters come into contact with Autons, Silurians, Primords and Ambassadors as representations of cultural change and suffer ‘shattering disorientation’. 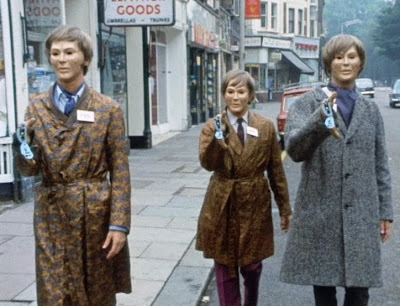 There are several moments of this ‘disorientation’ in Spearhead From Space with the much revered high street attack from the Autons, the hunting down of Ransom and the Auton attack on Seeley’s cottage as the best examples of how ‘domestic terror’ operates in the programme, creating unease, dislocation and stress in an everyday location and thus making it unreal and extraordinary. 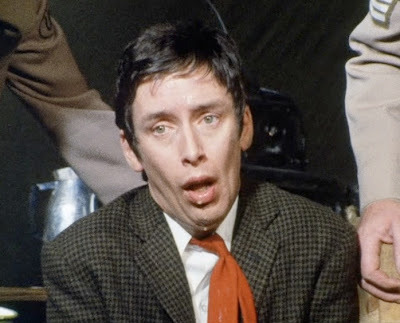 The height of ‘domestic terror’ is reflected in the two ‘cottage under siege’ sequences in Spearhead and in Silurians. Alien bodies either burst in on or infiltrate two cosy, domestic spaces. In Spearhead an alien invasion destroys the familiar pattern of life for the Seeleys as their home is wrecked by an Auton whilst in Silurians Dr. Quinn’s cottage becomes a miniature, temperature regulated hot-house in which to hide a wounded and frightened Silurian. Anxiety about the future and how technology will affect us on an individual basis is manifested in absenteeism and sickness in the research centre in Silurians. These neuroses, whilst perhaps a symptom of how humans are affected by working underground with a nuclear reactor, are internalised ‘future-shock’ hang-ups now being externalised in the plot. Liz Shaw even describes her fear of the cyclotron as a ‘feeling of oppression’ and the shocked potholer/scientist attacking the Doctor is described as affected by ‘some kind of fear’. The Silurians too are positioned as a representation of primitive fear responses, an emblem of a prehistoric, wilder intelligence innate in mankind that then erupts into the present day through the side effects of technology. Characters subjected to a primitive fear state in Silurians include the effects on the farmer’s wife after the Silurian attack in the barn, the UNIT soldier trapped with his group in the caves, through to lead characters such as Lawrence and Baker whose primitive hysteria is fuelled by paranoia, xenophobia and plague symptoms. This reversion to primitivism becomes the major side-effect of the Inferno project when a mutagenic slime transforms rational scientists into slavering Primords in the end of season story Inferno. The Silurian plague released against the humans in Silurians could be codified two ways. It’s an expression of colonial interference, here seen as the UNIT presence, into the ‘dark continent’ of the Silurian base. Plague as a result of such incursions suggests the epidemiological impact of European expansion and its social and political consequences and the way in which disease shaped the nature of colonial rule. Or it’s a reflection of our fear of biological warfare, as in 1945 where the Japanese Navy devised a secret plan to use a particular type of submarine to release rats and mosquitoes carrying deadly diseases into the U.S. mainland. Masters and Baker become the plague carriers and it is Masters who ‘domesticates’ this terror on his journey into London. The scene at the train station is truly frightening as people start dropping like flies on the station concourse and Masters collapses in the street. Later, this doomsday scenario is repeated in Inferno as the parallel earth, and all those on it, perishes. These scenes have a gritty immediacy and a grimness (akin to the early episodes of Survivors) that’s very sophisticated for a drama going out at tea-time on a Saturday evening and are fearful images of death and destruction that certainly hadn’t been seen in Doctor Who on this scale before.